Francis the Falsifier is at it again; berating the faithful, mocking the Saints, and twisting Sacred Scripture. During his Santa Marta sermon earlier this morning, the perfidious bishop-in-white set his sights once again on the so-called “rigid;” a Jesuitical slur reserved for those who actually believe what Holy Mother Church teaches in the name of Christ for our salvation. This is rich coming from a man who never met a photographer before whom he was unwilling to strike a pious pose; including going down on the same knees that will not bend before Christ. I’d say that “safeguard of the faith” thing didn’t work out so well. How sincere can one bitter old man be? Make no mistake about it, today’s rant at Santa Marta had nothing to do with the Mass readings; it was all about defending the blasphemous and heretical text of Amoris Laetitia. At this, Francis would have us imagine that Saul’s conversion made him tolerant of heresy, or at the very least, totally unconcerned about such things. In other words, Forget about the Law concerning what you can and cannot do with your members; just follow the God of Surprises (me!) like a little child that does not know any better and you will be perfect! Seriously, if they’ve not chosen one already, the Dubia Brothers would do well to make St. Paul the Patron Saint of their cause! In other words, let he who tells you that you are “in a concrete situation which does not allow you to act differently than to remain in sin, obeying the lust of your bodies” (AL 301) be anathema; for he is a liar! In other words, do not be deceived by those who would suggest that the Church’s moral doctrine is “dry and lifeless,” (cf AL 59) or who would paint the Commandments against adultery and fornication as “rules imposed by sheer authority,” (cf AL 35) for it is in obeying such doctrines that one is delivered from the clutches of evil. In other words, be on the lookout for he who does not hesitate to suggest that “one may, with full knowledge of the Divine Law, remain in adultery yet abide in the life of sanctifying grace” (cf AL 301) and yet refuses to warn against those sins that are mortal, for such a one is speaking not for God but His adversary. St. Paul’s epistles give no quarter to the likes of Jorge Mario Bergoglio, and any attempt on his part to suggest otherwise is nothing more than a diabolical act of deception. May he that exalteth himself be humbled, and soon. Please help us to continue defending the Catholic name as you are able. Its no mystery, prettyboy. It is not the same church as it was in 1917. It is no longer Catholic for starters. So why do people still call it Catholic and still call Bergolio the Pope? That is the true mystery. It’s not. Best to listen to Fr. Paul Kramer. Francis is NOT Pope. come on people!! There is none so rigid, unmerciful & doctrinaire as the present incumbent of the Papal Office given us by Satan & his henchmen in the present Hierarchy & ‘Advisers’ to PF. Not a day passes without their vitriol being poured on faithful Catholics. The time for their full exposure to the wrath of God is nigh. What cannot be explained is the disappearance from the scene of the four Cardinals, one of whom made a promise to issue the formal correction after the Christmas Season. Have they too fled for fear of the wolves? It will soon be six months since they publicised the Dubia & eight months since it was first delivered to PF & the only news has been they are still waiting for an appointment to deliver it. What nonsense is this? Waiting for a heretic & blasphemer to grant them an appointment to issue what should have been delivered long before now? As if he is ever likely to grant such a ‘coming together’. This also shows that Satan is hard at work, delaying such a move to allow more time for PF to make loads of further Holy See appointments beneficial to his Liberation Theology cause. Are they also lacking in faith & trust in Jesus Christ to bring an end to this pontificate by allowing their part in such a necessary strategy to be stymied by the enemies of Christ? If so, then we are on our own. Our Lady of Fatima pray for us. Ana, in one breath you call Bergolio a satanic heretic and blasphemer but in the same breath, you consider him a Vicar of Christ and a Holy Roman Pontiff and the Holy Father and ascribe to him every other title of honor that the Church bestows on a true Pope. He is either the Holy Father or an evil heretic. But one thing is certain by logic and common sense, he cannot possibly be both. So please all you resisters out there: Make up your confused minds already. If he is pope then treat him as Christ’s Vicar on Earth. If he’s a heretic, then have nothing to do with him. I’m with you Ana, 100%, but stopped looking for the correction some time ago, realizing suddenly it was not coming. I would be happy to be wrong, but positively astounded if I am. As you say, there has been ample time, and the excuse is an absurd one. I think we have all reached maximum saturation. What more is there to say about him. It’s kind of all been said. We know what we’ve got. The only interesting thing left is, the dubia. But the dubia is stalled. What I am curious about though, is why issue it at all. These are not stupid men by any stretch, but intelligent men. Why issue something, but not be willing to see it through? Did words change their minds? Were words said that convinced them not to go further? Interesting. At this point, it would almost be anticlimactic. I can practically feel the air getting sucked from the faith. But, no matter, there is travel, and good food, and conferences, so, drink up, and stop fussing about souls. Tom A. I wish I knew the answer to what you are proposing to Ana. Honestly I don’t know what he is. I suppose he’s the pope, because all indications are he is the pope, but he is also a hater of the true faith and a heretic. He is a heretic pope. We can say he is not, he has extra-communicated himself, so we don’t listen to him, surely I don’t, but if he is considered the pope by the rest of the church and the world, isn’t he a de facto pope, albeit a heretic one? Yes it does spin your head and boggles ones mind all this confusion. Personally, since I recently stopped believing that Bergolio is pope and the the NO V2 sect is the Church that Christ established on earth, I have been at peace. I dont have any answers as to why this happened or when the true Church will be restored. I stick with an SSPX chapel for now and pray they do not reconcile with heretical Rome. The funny thing Tom, as you already seem to know, is that once you stop trying to reconcile the impossible (that the vatican 2 religion and its popes are somehow Catholic), you no longer feel any unease. Yes, you are still upset, but you are at least at peace (as you said). I was just about to say exactly what you just posted here Tom. It’s uncanny that you posted this. Francis could not possibly be the pope, and neither could Paul VI have been one. I also intend to stick with the SSPX for the certainty of valid Sacraments and an ordinary Catholic life with my fellow faithful SSPX adherents, even though many of them think he is the pope. For all practical purposes, the SSPX carry on as if Paul VI never was the pope, and that’s good enough for me. You also arrive at peace when you’re able to understand what is happening in the Church by viewing it in light of traditional theology, the limits of infallibility, and other related matters. This approach, which does require intellectual effort, shows that sede-vacantism is not the answer, but a damnable error of its own. The Nature of the Church 101 Evangeline: The Church is the Congregation of the Faithful, not of heretics. Public heretics aren’t in any way members of the Church. If you believe otherwise, then you have an invisible church on your hands, consisting of Catholics and baptised heretics, not the visible, Catholic Church. It’s simple, not complicated. Bergoglio is very good at describing himself. He’s the one leading a double life. I shudder to think of what he is really like when the cameras aren’t rolling. This crisis is not going to be resolved. The new sect’s mass is here to stay. There will be no reform of the reform. We are not going to get a real pope who will correct all that has gone wrong in the last 50 years. None of the current clergy or hierarchy will or even can fix any of this. You cannot pray and expect that things will change in “the church.” The answer is quite simple. At Vatican II a new sect and “liturgy” was established. Most Catholics followed it. Incrementalism and time have entrenched the sect and its symbolic commemorative meal. Thanks to Archbishop Lefebvre and others, a remnant continued in the straight line from Christ and Peter along the path of the True Church. It will always be there and cannot ever be destroyed. The mistake most make is to confuse all the number of buildings, number of clergy, number of those who still fill pews as being the Church. They are not. Even Benedict has said the Church will ultimately consist of quality and not quantity because many are, indeed, called but few are chosen. Consider yourselves blessed that you are probably among the very, very, very few who remain.This is an end times test of all who claim to be Catholic. Can you think of any other explanation as to why God would give us a Francis? Find a Latin Mass chapel or parish–or move to one–and never look back. You and Tom A strike the same chord. May Almighty God richly bless you and yours’. It is indeed unutterably stunning, inducing a noxious, cognitive dissonance, this quagmire that we find ourselves in. Only in the mind of the diabolical himself could such a quintessential, summa and summit of deception have been parlayed on the sensus fidelis and the world over the past 50 years and counting. The novus ordo church (sm case intended), its faith, religion, exegesis, and resulting catechesis, which flows from this creature beast thing, literally finds its wellspring in hell itself, and it is thus from its utter immanence, apostate from the One, True, Church. We are now indeed living the Great Apostasy. 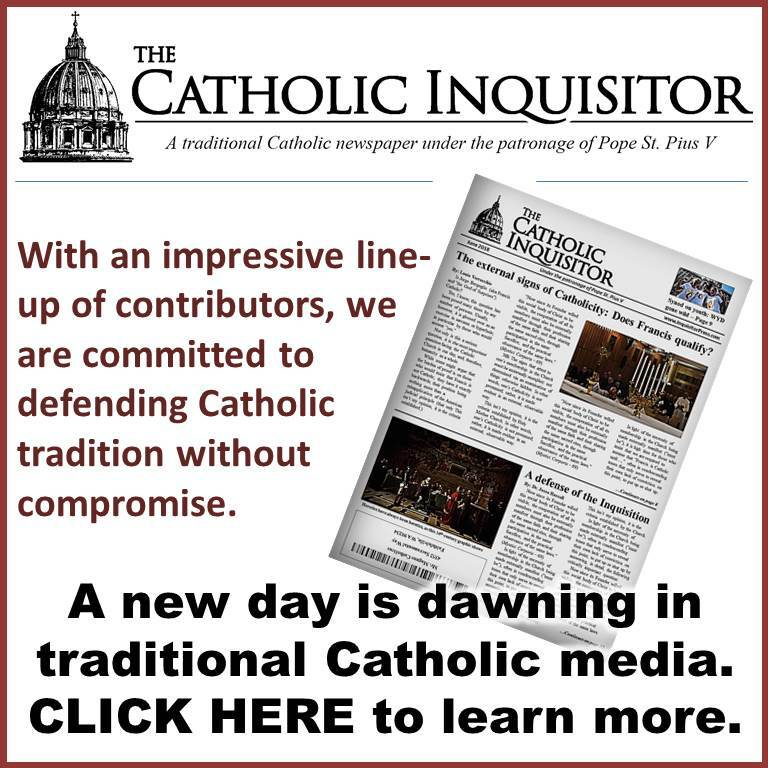 There has never before been, in the bimillenial history of the Church, One, Holy, Catholic, and Apostolic, such an imposition of diabolical disorientation and its resultant perversion of the Reality of Almighty God, such that the overwhelming majority of the 1.2 billion baptized Catholics spread over the entire globe today, are actually and literally in apostasy from the One, Holy, Church which the Son of Almighty God, as God Himself, established. While at once these Catholics, almost all of them the world over, are in utter apostasy, they are also all but perfectly, intellectively blinded to this reality, and as Saint Paul professed in his letter to the Romans, chapter 1, “they have no excuse”. This utter truth applies to all people in time, for all time, as excuses do not take a soul to Heaven. Only the reception of salvific grace, that which flows from the Redemption of Jesus the Christ, Son of the Living God and His Holy Cross, in superabundance, saves the soul of the human person. 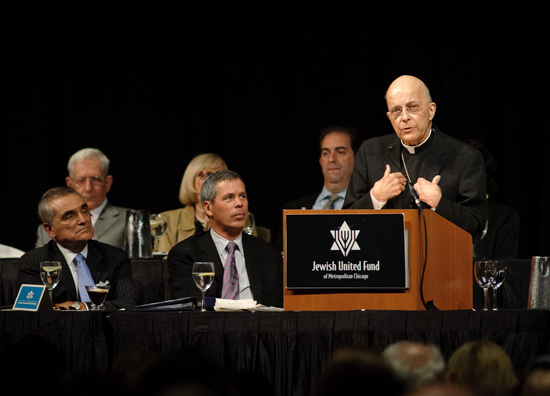 Those infinitely precious souls which remain in the novus ordo church, have blocked the reception of that intellective grace, which would lead them out of this darkness, through the imposition of their sin, living this life of Modernity, rotten from its essence, and as thus the root of this tree is intrinsically evil, yielding as it only can, rotten fruit. This church in apostasy, which calls itself catholic, is the anti-Church, established by “Pope” Montini, Paul VI, a Freemason and sodomite, who “changed” the Roman Calendar, the Singular Roman Rite of the Holy Sacrifice of the Mass, for all time and until the end of time to be unchanged (St. Pope Pius V, Quo Primum), the Divine Office, the Holy Sacraments–even touching the very words of Consecration, and the canon law. In this act, the anti-Pope Montini, already himself an apostate from the One, True, Church as a Freemason, excommunicated latae sententiae before his purported elevation to the Chair of Saint Peter, in the near perfect deception, contrives with his minions, the “new church”. As the “pope” of “new church”, he at once established the “religion of man”, all dressed up “Catholic”, while at once devoid of all things Christ Jesus, as it is fully Freemasonic from its very immanence. “New church” finds its nascent genesis in the mind of man and not in the Mind of Almighty God, as this speaks as res ipsa loquitur. This “new church” worships man as God, denying the divinity of Jesus the Christ, while purporting that as Jesus did, so can man become God. Men, by virtue of their own free will assent, were given the preternatural, intellective gifts of Lucifer, the one who was given the kingdoms of this world and the freedom to give them to whomever he chooses. At once, as only could have been done using those diabolical gifts, they established this all but perfectly juxtaposed, inverted, and parallel reality, called Vatican II Church or “new church”. This parallel church exists in its inverted and all but perfect parallel reality, so closely aligned to the One, True, Church, that it rests there essentially indistinguishable but for the reception of the grace to see as only those with eyes can and do. Indeed, what we now bear witness to is the anti-Church in our very midst, and for the past 50 years. 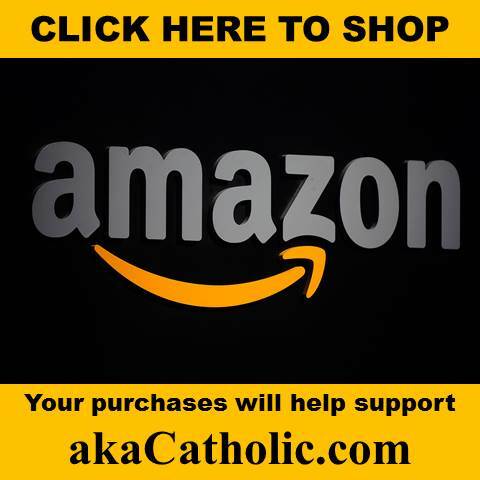 It calls itself “Catholic” and it fully controls the edifice of the formerly Catholic Church, while in reality it is satanic, as it preaches the anti-Gospel for the “religion of man”, all in preparation for the revelation of the person of the anti-Christ. All the while, the overwhelming majority of former Catholics, now in apostasy for 50 years and counting, literally exist as its members. This is the Great Apostasy, for what else could it be? 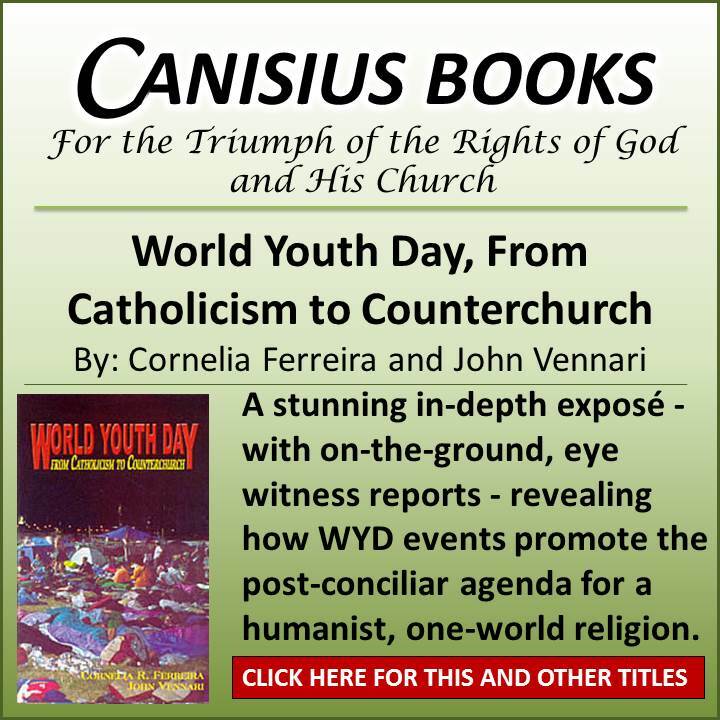 What greater deception could cause even the most elect to fall into this very deception that any of the “Popes” since Roncalli as John XXIII, up to and including Bergoglio as Francis, are actually and in truth the Vicars of Christ on this earth. This parallel reality is utterly contrary to Caritas, as to believe that such diabolically villainous men, who have led countless tens of millions of souls on the ever so wide road to perdition, could in truth be Christ Jesus in this world, is the summa and summit of the diabolical disorientation of the mind, that Our Lady of Fatima promised us would occur. 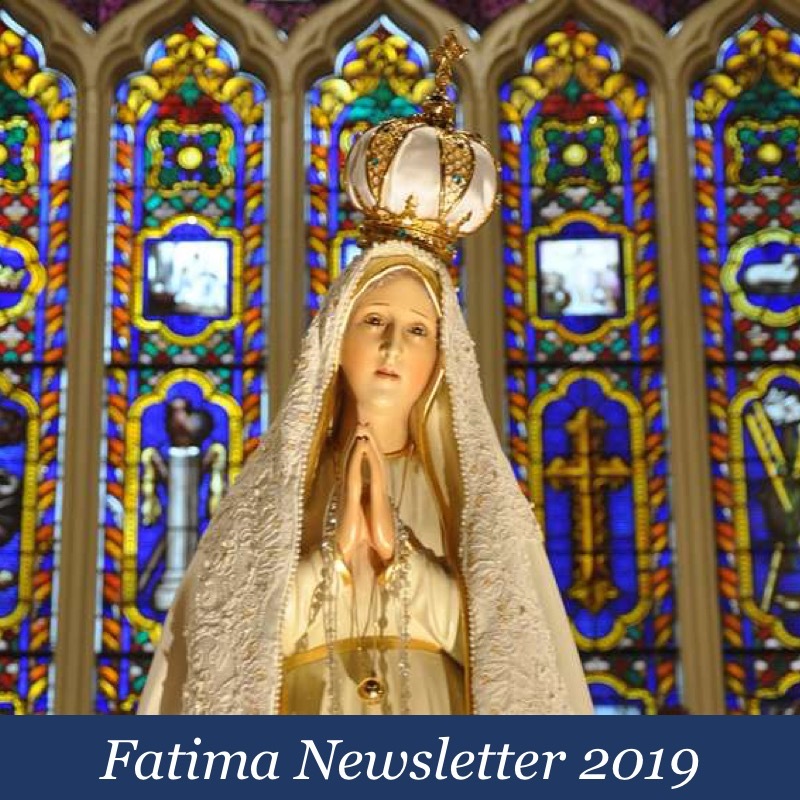 Our Lady of Fatima, in this your centenary year of private revelation, please shelter us in your Immaculate Heart, such that you carry us unto your Sacred Heart, our Blessed Dominus Deus Sabbaoth and Savior, Jesus the Christ. Amen. In caritas. That was almost as long as one of A Catholic Thinker’s posts, except that it made sense. He got a hiding over at Suscipe Domine, and has since disappeared from there too. Haha, good one. I am sure ACT will pop up again someday with some new twisted logic to defend the indefensible. What – that the Church and the Papacy, when all is said and done, are useless, unreliable and dangerous, in spite of being brought into existence by almighty God? That? Excellent summation by In Caritas. The soul of the “New Church” is their churchmen understanding of Ecumenism that is different to the Catholic Church. In charity the Catholic Church through its clergy up to Popes would talk to people of other religions but try and bring them into the true Faith. Now in the “New Church” the churchmen dialogue and dialogue dumbing down the Faith to their new religion. in effect by the actions and words of the conciliar popes all gods are acceptable. In the early centuries many Catholics went to their death rather than deny Christ and accept false gods of the Romans. The Romans only wanted them to burn incense to their false gods. In effect the false gods are accepted now as the false religions are considered means to salvation in the “New Church” by Lumen Gentium. Following a link to an excellent video that describes the Papacy and the Passion of the Catholic Church which should give comfort that true Popes cannot persecute the faithful. Remember the Vatican is chocked full of Masons, Satanists, and paederasts. They don’t want ANYTHING to change. It’s somewhat analogous to a type of JFK that if you try and change anything, you’re DEAD! They may indeed elect a good and holy man if that’s even possible, but to change anything: forget it. One may recall John Paul I, he didn’t get too far with any of his proposed changes. Louie, count me all in as a rigid Catholic. I believe all the dogmas, precepts and teaching of the Church in an rigid way. Bad me! I give a lot of credit to those who think that jorge is a pope….you guys are much tougher than I am. If I believed that this ingrate was my True Pope I wouldnt be able to sleep. Just to imagine that a man like this could actually be the leader of Christ’s Church is enough to make you sick to your stomach. Thankfully, that is an impossibility. Or maybe they are just gluttons for punishmnet. The thing that really bugs me is if they think he is pope, why do they speak so disrespectfully of him? Why do they speak so disrespectfully towards the one who they call their valid Pope? Simple…they reject their Catholic Faith. Tom A.–I understand what you say. Whether Bergoglio is a true Pope or a false Pope, the constant and unmerciful damage he is inflicting on the Catholic Church is real. He does not deserve any respect whether you believe he is pope or not. How could such an destroyer be sitting in the Chair of Peter? Because Vat II was a huge success. Pope Francis is the Vicar of Jorge Bergoglio. A man cannot serve two masters. 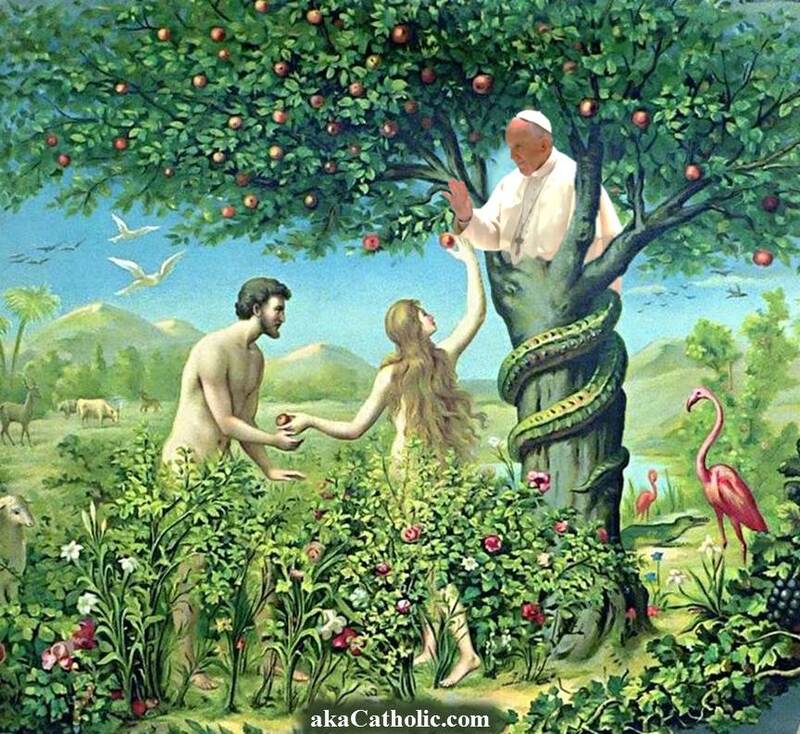 Bergoglio’s master is Man, starting with Himself. That’s how I see it. He makes it sound like after his conversion, St. Paul became someone who didn’t care about rules or truth. But anyone who has read St. Paul’s letter to the Galatians would know that Paul was not “meek” and “merciful” when it came to false teachers. Paul was very “rigid” and “unmerciful” towards those who taught a different Gospel. 2 Thessalonians 2:10–12: and with all wicked deception for those who are perishing, because they refused to love the truth and so be saved. Therefore God sends them a strong delusion, so that they may believe what is false, in order that all may be condemned who did not believe the truth but had pleasure in unrighteousness. Just viewed your Billy Joel spoof, Mr. V. LOL You know what I’d like to see you do? If you ever decide to shave those whiskers, put on a brown habit and do Mother Angelica on “Pope Francis”. Wouldn’t that be a hoot? She railed on bad bishops, I can’t imagine what she’d be saying if she were on her network now! That’s a very un-Catholic suggestion. Catholic men do not do drag. Louie would never disparage Mother Angelica like that. Akita, you are right. Even as the joke I meant it to be, it sounds awful to me now knowing that it offended you. I apologize to Mr. V., to Mother Angelica, you and all I have offended. Dennis, I personally did not take offence at your remark because I understood very clearly your intent. I, also, would love to know her thoughts on the likes of Bergoglio and what has been going on in the Church she loved so much. Is it possible that she was intentionally silenced? I guess we will never know the truth. However, I do know she would have spoken her mind without fear of the Bishops. Not too many brave souls like that around now. To JPeters and all others whodeny sedevavantism, I have a question for you. Lets say I want to get a lapsed Catholic family member back to the sacraments and the Catholic faith. How do I tell them to return and submit to the authority of Rome except for points A, B, and C. It seems ludicrous. It seems the logical position would be to convert someone either to the NO religion or to Tradition. But the problem with Tradition is that you then have to deal with explaining to someone that we want you to join a Church and then as soon as you join you need to start resisting that church I just asked you to join. I know the same confusion can be said of trying to convert someone to a church that has no leader at the moment. But at least that position doesnt contradict itself. I detect a wind change, More comments on feeling relieved Jorge isn’t who he claims to be and better, will never achieve what he wants for the rest of us. It is Pauline to “gird on the sword of the Spirit, the great St Paul” from persecutor to promoter of Christ and his very Truths. We of course are walking that dry desert where the heat refines us like gold – that we may burn off all the dross of AL and its pushers of lies. I feel among those suffering, but in good company. St Maximillian Kolbe – ora pro nobis.